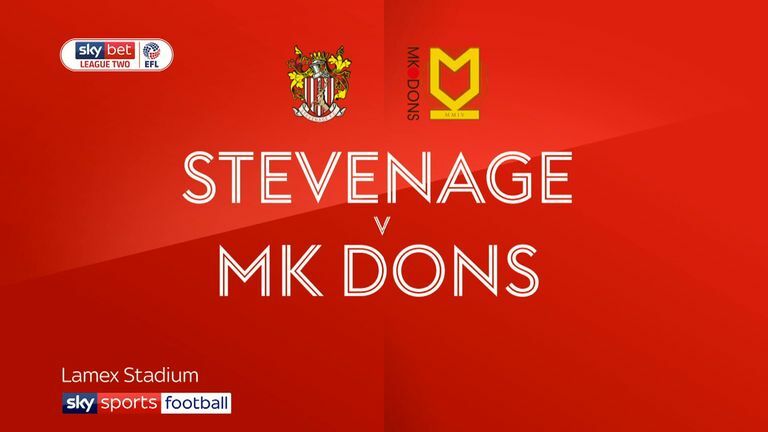 Highlights of the Sky Bet League Two match between Stevenage and MK Dons. 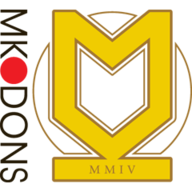 Stevenage came from behind to pull off a shock 3-2 win and deny MK Dons a return to the top of League Two. 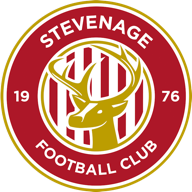 Steve Seddon gave Stevenage an unexpected lead on 21 minutes when Alex Revell headed Ben Kennedy's cross into Seddon's path to open the scoring. But the lead lasted less than 10 minutes as Cardiff City loanee Rhys Healey continued his fine scoring form with a fantastic 25-yard curler, his seventh goal in 13 starts. On the stroke of half-time, Paul Tisdale's potent front line of Chuks Aneke and Kieran Agard both hit the bar as Aneke lobbed Timothy Dieng and Agard's follow up careered off the woodwork. There was no stopping Agard scoring for his fifth game in a row as he headed home Rhys Watson's cross in the 68th minute. Late drama was the order of the day as the hosts scored twice in the final five minutes to steal the points. With five minutes left, defender Scott Cuthbert equalised from close range before Kennedy grabbed the winner with a minute remaining in normal time with a fantastic free-kick. Lincoln City climbed above Paul Tisdale's side after their lunchtime draw against Mansfield.